Jessica Goodwin, author. : It's the most wonderful time of the year! Not only have I finished Clarissa Jean, Homecoming Queen (and started on my next project) but the holidays are right around the corner! 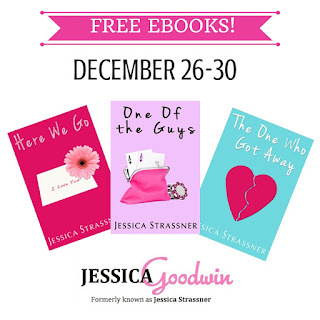 After all of the excitement has died down, the leftovers have been eaten, and the out-of-town guests have left, why don't you head over to Amazon and grab my first three books for FREE? Click below!